A beautifully designed electric ceramic drinking fountain for your dog or cat. 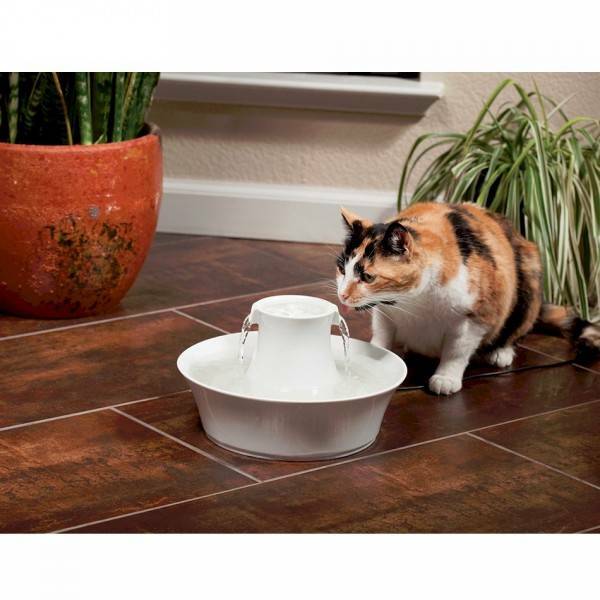 The circular drinking fountain provides two separate drinking places for your pet. 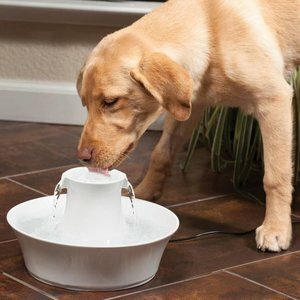 Your pet loves to use a drinking fountain: always clean, fresh and flowing water. A drinking fountain is highly recommended by experts such as veterinarians. 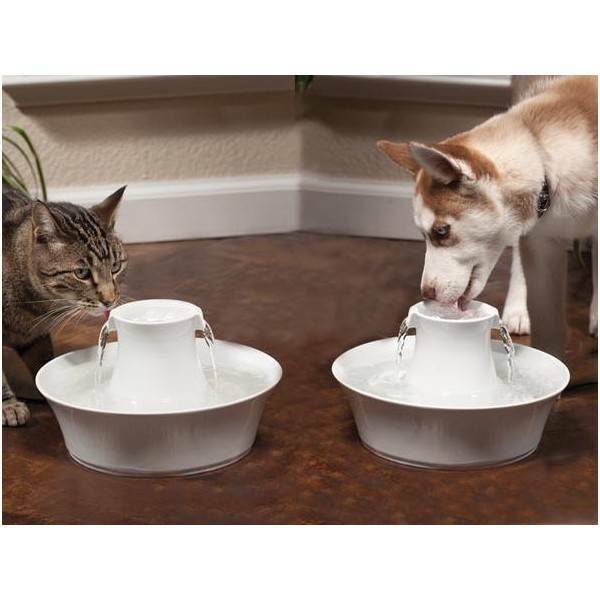 To drink well demonstrably improves the health of your dog or cat. 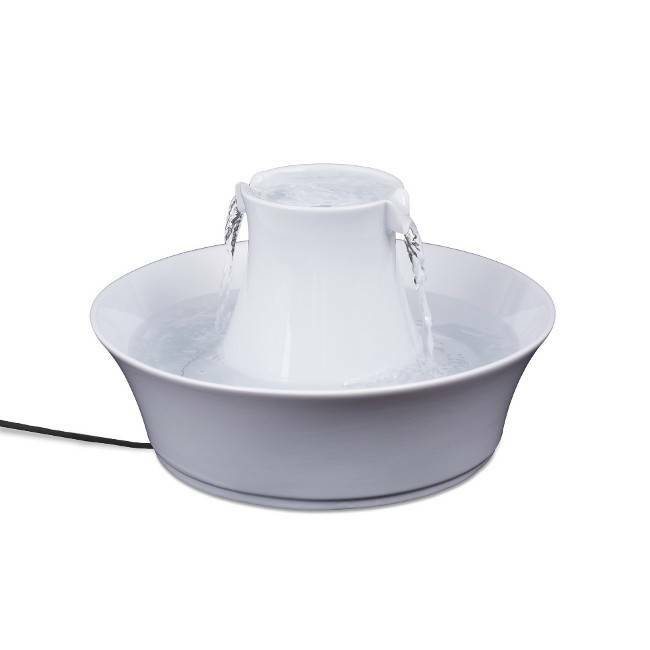 The Avalon is made of ceramic making the drinking fountain very hygienical and very easy to clean. The fine round drinking fountain provides two separate drinking locations: a trickle of water at the top and the reservoir at the bottom. The replaceable carbon filters keep the water fresh and clean. You can clean the fountain in the dishwasher, except the pump.